A well-maintained gutter system is critical for protecting your home from a variety of problems ranging from roof damage to basement flooding. Your gutters and downspout are a vital part of your roofing system. Without gutters to direct water away from your home and foundations, your home would be extremely vulnerable to water damage and even basement flooding. These problems also can occur if your gutters are compromised by clogs or damage. Here at Dula Construction we can help you keep your home safe with our expert gutter services. We can install brand new gutters, replace your old ones, make repairs, and even install gutter guards so you can make gutter cleaning a thing of the past. Whatever your needs, you can count on exceptional customer service and workmanship from your local gutter contractors at Dula Construction. Call 1-855-763-9167 today or contact us online to schedule your free cost estimate! We proudly offer our gutter services in Weddington, Matthews, Indian Trail, and the surrounding area in North Carolina and South Carolina. We'll help you choose the perfect gutters for your home. 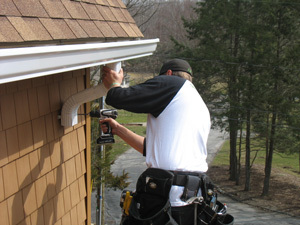 Get started on your gutter work today with a free estimate! Do you have gutters that are in need of replacement or repair? Do yo0u want to make cleaning a thing of the past by installing gutter guards? The experts at Dula Construction are here to help. We can work closely with you to help you choose the best service and materials for your particular needs. Contact us today online or at 1-855-763-9167 to schedule a free estimate and start your gutter project! 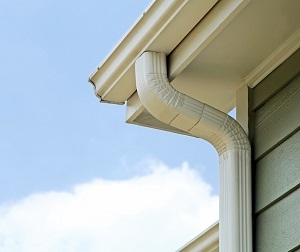 We provide comprehensive gutter services in Matthews, Weddington, Indian Trail, Mint Hill, Concord, Charlotte, Gastonia, Rock Hill, Huntersville, Kannapolis and throughout the surrounding areas of North Carolina and South Carolina.